Kind of wish I could go back in time, NOT buy the D-Arts First Armor X figure and get this instead. Compared to Figma and Nendoroid, I hate how cheap the plastic is on D-Arts figures, especially their removable/change parts. 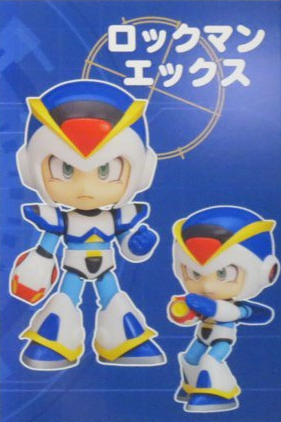 I hope they make Zero next, preferably in his X3 form. I think if they do Zero, it's gonna be in his X1 form to go along with this X1 armor.